LONDON, April 10, 2019 /PRNewswire/ -- The market had hoped that China would unveil a large stimulus package at the March NPC; but any expectation of a large boost to world growth and commodities demand has not come, yet. The current stimulus package is smaller; less potent and less positive for commodities demand than previous episodes of stimulus. This is because two-thirds of the stimulus comes via VAT cuts, and one-third from direct government spending. VAT cuts give companies money, which they may save, and will not translate into metals demand. In March 2019, the National People's Congress (NPC) set out its annual plans for China's economic and fiscal policy. The meeting was closely watched, given growing concerns that the US-China trade war has sparked an economic slowdown in China. Most of CRU's clients who responded to our annual economic survey, said that a large stimulus package from China would be the most likely source of upside to global growth. This strategy was highly successful in propping up growth in China and the world more broadly following the Global Financial Crisis (GFC). This modest stimulus is warranted given that the recent growth slowdown has been small. It is consistent with the authorities' ambition for long-term growth that is sustainable from an environmental and financial stability perspective. 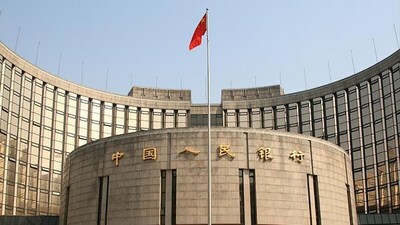 A higher local government special bond quota – up by RMB800 billion. This will enable the funding of additional infrastructure projects. Manufacturing sector VAT tax cuts of 3 percentage points, with a 1 percentage point cut in the construction and transport sectors. We estimate that this will lower corporate costs by RMB650 billion.